Knowing these seven causes can help you better understand what to avoid. Multi-vehicle accidents are some of the more complicated cases to deal with. The reason is that there is often a lot of blame to go around in these situations. Liability aside, getting into one of these collisions can be incredibly damaging, so learning how to avoid them is worth your attention. Here are seven common causes. 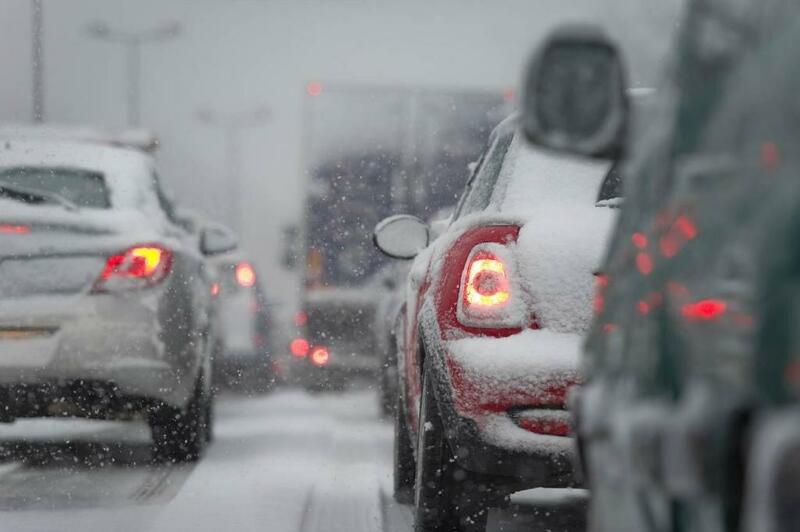 Poor weather conditions tend to set off a chain reaction of vehicle-related issues. The first is the ground getting wet, which lessens the friction between tires and asphalt. Next, cars start to skid and have abnormally long stopping distances. Finally, some drivers lose control and hit multiple vehicles, most often from behind. Speeding is damaging in a variety of ways, but at its core, it is dangerous because you have less time to react to dangers. Whether that be a yellow light that quickly turns red, an animal in the road, or a car ahead of you suddenly stopping, traveling above the speed limit is a recipe for disaster. These crashes tend to happen at intersections and when traffic suddenly stops. Experts have found that fatigued driving is almost as dangerous as operating a vehicle while intoxicated. The reason is that the effect of both of these actions is roughly the same. You will have poor judgment, slower reaction time, and could fall asleep entirely. Each of those outcomes can lead to a multi-vehicle crash. One thing that almost everybody knows is that driving while under the influence is unacceptable. In fact, alcohol was a factor in 28% of car accident deaths in 2016 (Source: NHTSA), and that statistic doesn’t include other mind-altering drugs. Bad judgment and reaction time leads to all kinds of crashes, including those with multiple cars. As we’ve touched on in previous sections, one of the most common scenarios that leads to multi-vehicle crashes is a string of rear-end collisions. While slowed reaction times or long stopping distances often cause these collisions, following too closely does too. The best way to avoid this scenario is to increase your following distance to at least three seconds, no matter what. Though it is necessary, road construction leads to a significant amount of collisions. The reason is that workers close off lanes, and that shift is sometimes sudden. If drivers are not paying attention, they might collide with others while trying to make a lane change or slow down quickly. Lastly, we have distractions. You don’t need to be a traffic expert to see how behaviors like phone use, putting on makeup, and eating lead to accidents. If you take your eyes off the road and hands off the wheel, you are putting yourself in danger. If you ever end up in a multi-vehicle crash, you and your St. Louis car accident lawyer can assess the situation and decide what your next move should be. Still, the best case scenario is avoiding them entirely. We hope that you can do so now that you know the most common causes of these damaging accidents. If you are involved in a multi-vehicle car accident, call (314) 361-4242 for FREE legal advice 24/7.